The current challenge impeding advances in the U.S. Navy’s mobility is significant interruptions during undersea missions. Missions such as studying arctic physical environments; understanding the effects of sound on marine mammals; submarine detection and classification; and mine detection and neutralization in both the ocean and littoral environment require persistent operation of unmanned systems in challenging and dynamic environments. The proposed work will create an architecture that integrates three elements of energy, communication, and docking to guarantee undersea persistence where limited power resources and unknown environmental dynamics pose major constraints. The architecture will take into account: the number of operational AUVs required for different operation periods, recharging specifications, communication and localization means, and environmental variables. The overall goal of this project is: to develop a mobile power delivery system that lowers deployment and operating costs while simultaneously increasing network efficiency and response in dynamic and often dangerous physical conditions. The aim is to create network optimization and formation strategies that will enable a mobile power deliver system to meet overall mission specifications by: 1) reconfiguring itself depending on the number of operational AUVs and; 2) responding to energy consumption needs of the network, situational condition, and environmental variables. The outcome of this work will be a theoretical, computational, and experimental roadmap for building and implementing an autonomous distributed system with mobile power delivery and onsite recharging capability. This roadmap will address fundamental hardware and network science challenges. The long-term outcome of this work will be a persistent and stealthy large area presence of AUV fleets able to perform undersea Navy missions by accurately and autonomously responding to energy needs, situational dynamics and environmental variables. 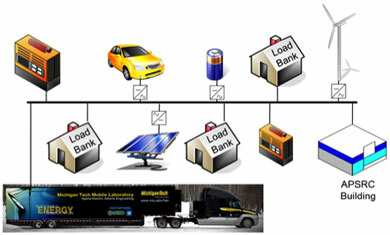 By treating a hybrid vehicle as a microgrid, it has the ability to exploit interconnection strategies for plug-and-play integration with deployed microgrids while being a mobile, energy exchange system between disconnected power grids. Research is focused on optimization and control of microgrids that have a significant penetration of vehicles that can be loads, sources, or energy storage devices. 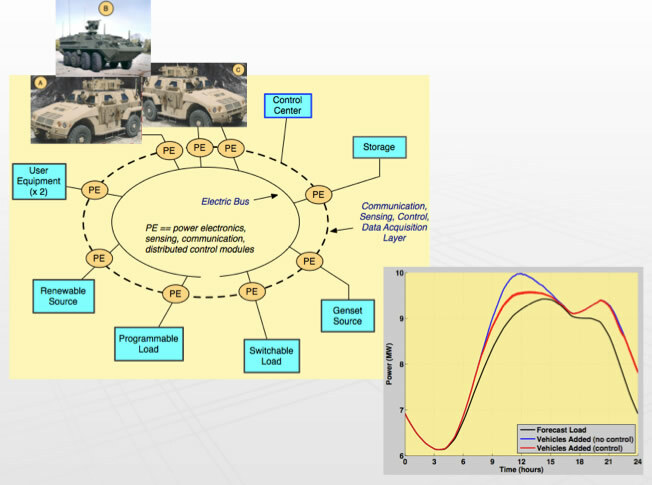 The existing communication layer for Vehicle to Grid (V2G) operations has sufficient throughput and capabilities for basic connectivity, but may not have enough for tasks such as operating military vehicle systems remotely. They cyber security approach to V2G operations has had some development in industry; however military vehicles demand more scrutiny from a cyber security perspective. Vehicle-to-Vehicle (V2V) resource sharing would enable a greatly expanded flexibility for utilization of assets for forward operating bases (FOB). Consider a FOB with a variety of vehicle assets, each with different levels of functionality. The ability to daisy-chain the vehicle assets together (including partially disabled vehicles), have the vehicles automatically determine their net capability and then share resources to accomplish a common goal (force protection for example), would enable a level of capability not currently available. Specific Tasks: Vehicle-to-Grid Simulation, Connection Protocol Assessment, Connection Protocol Development, Throughput Assessment, and Simulation Studies. 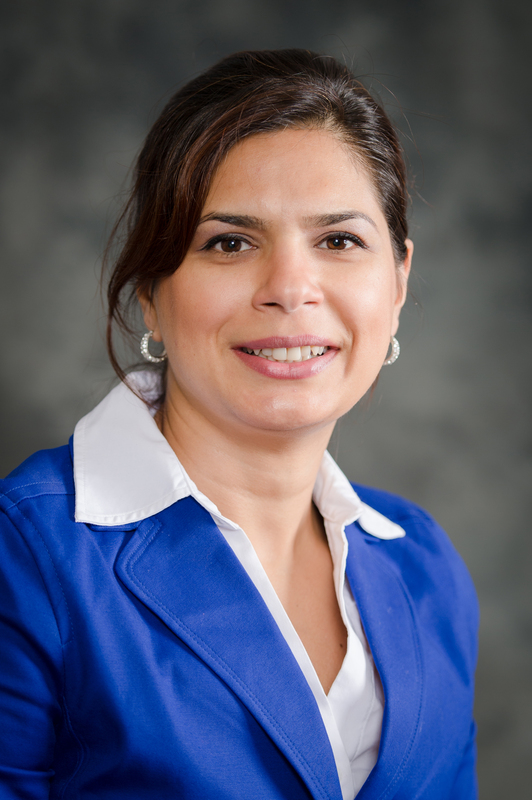 Dr. Mahmoudian’s general research interests lie in the area of dynamics, stability, and control of nonlinear systems. Specifically, she is interested in dynamic modeling, motion planning, and developing cooperative control algorithms to autonomous vehicles. Design and control of autonomous vehicles based on the principles used by nature is another area of interest. She works on developing analytical and computational tools for the cooperative control of a network of autonomous vehicles in complex environment using nonlinear control and stochastic analysis. The application will be for air, ground, and sea autonomous vehicles.